Back when the vast majority of the production in Tucuman was devoted to sugar cane and mills, a group of pioneers of immigrant descent decided to join forces to produce lemon and its derivatives. That is how in 1961 COTA (Cooperative of Citrus and Agricultural Producers of Tafi Viejo) was founded. The land owners had been severely impoverished after the plague that tithed the plantations the prior decade, and as a result they started by buying only eight hectares. There they established a nursery, introducing an innovative trend for Tucuman: that of cooperativism, whose principles are the basis of the COTA family. With the passing of time, we achieved top quality and our lemons managed to fulfil an empty space in the market. 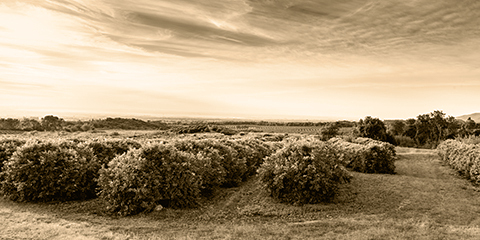 In the early 70´s we opened our industrial plant in a 20-hectare estate in Tafi Viejo, the main lemon area of Tucuman. By 1974 the industrial plant was working at its full and so we ventured into international markets. Throughout more than 50 years of existence, we have undergone different ups and downs, fluctuating between times of crisis and prosperity. This has provided us with the experience of the oldest and most experienced cooperative in the field. Nowadays we face the challenge to keep growing and improving. We have several projects and development plans that aim to keep on providing excellent products to our customers, in order to keep up to the demands of the ever-changing citrus market. We have joined a team of 55 partners that provide us with the production coming from more than 2500 lemon hectares, plus 200 hectares owned by the cooperative itself. Our annual average production of 65,000 tonnes allows us to ensure quantity, quality and continuity of the raw material that we need in our industrial plant. The partners are committed to providing fruit for the industrial plant, and in exchange COTA provides them with the most competitive price in the market.